To call Tyler Perry presents Tyler Perry’s Why Did I Get Married? starring Tyler Perry “ham handed” would insult the graceful subtlety of ham. Thank you Netflix for making this train wreck available in the month of September. Buckle up. This is Janet Jackson and she wrote a book called Why Did I Get Married, just in case one minute into the film you forget what it’s called. Each year JJ, her husband, and their three closest couple friends take a vacation together, a “relationship retreat” if you will, and she used all of them as characters in her book. My favorite part of this scene is when a student asks a question about one of the couple and JJ’s all “I don’t like to talk about my friends.” Also, like EVERY OTHER CHARACTER, Janet has a deep, dark secret. Oh well, off to vacation with friends! Couple number 1: This is Tyler Perry and his wife. He’s a doctor and she’s a lawyer, and while you think about all which 1980’s sitcom that was lifted from, let’s go ahead and start spilling secrets because there is so much going on in this movie you’ll need some kind of chart or graph to keep up. He wants another child (even though he did a secret paternity test on the first one! Oh no he didn’t!) and she secretly had her tubes tied (I guess that’s possible?) because she loves her career. This is Jill Scott and her husband. See that woman behind her? That’s her husband’s “employee” that he’s bringing on the couple’s retreat with them (oh no he didn’t!). 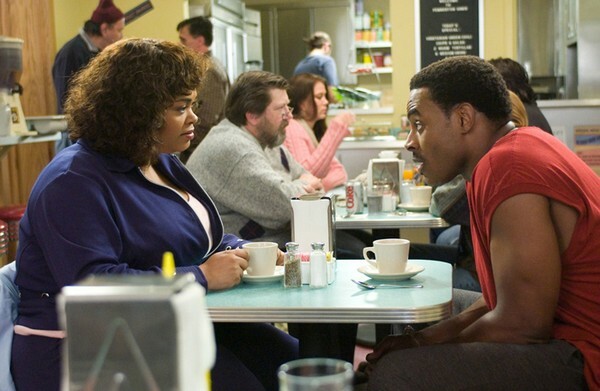 The first time I saw this movie I thought the husband was a bad character, but upon more reflection I think he’s a nice guy to take care of a mentally challenged lady who can’t see what’s going on. 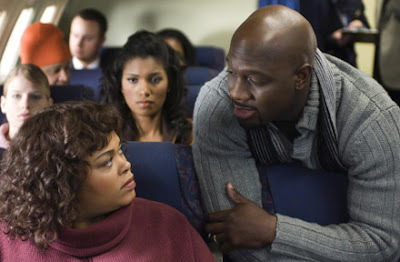 Also, Jill is asked to get off the plane because she’s too big for one seat, and her husband is all “you drive to Colorado. Me and my employee will meet you there.” That’s no way to start a week of reflecting on your marriage, sir. This is Angela and her ex-NFL player husband Marcus. His name is easy to remember because she is always yelling at him. She’s also almost always drunk. I don’t think it’s a stretch to say that Angela is hands down the best character in this movie. 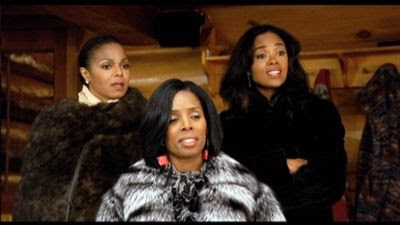 Side note: Angela is portrayed by Tasha Smith, and she teaches an acting class in LA. Want to learn how to yell “Marcus!” with conviction? Now you can! 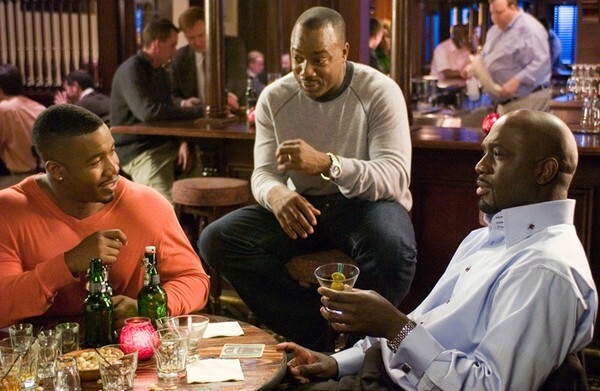 Everyone arrives in Colorado, and the ladies are all “Men! 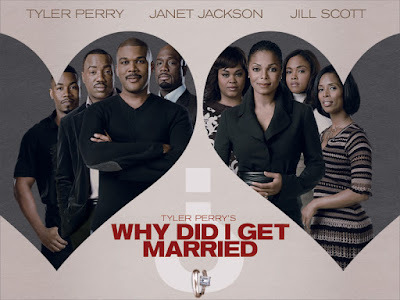 Amirite?” and “Where is Jill Scott and why did her husband bring another lady on our vacation?” and “I hate my husband’s babymomma.” I like how Tyler Perry doesn’t use stereotypes and cliché as a crutch. 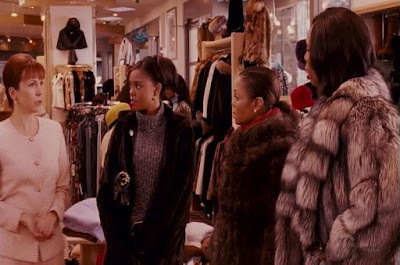 Note that this movie was made in 2007, when we all had a much more liberal view on wearing fur. The men are all “I cheated and now have an STD!” “My wife works too hard!” “I don’t like my wife, but my secretary who came with me sure is nice...” Is your head spinning yet? Intrigue! Now we learn about the 80/20 rule. 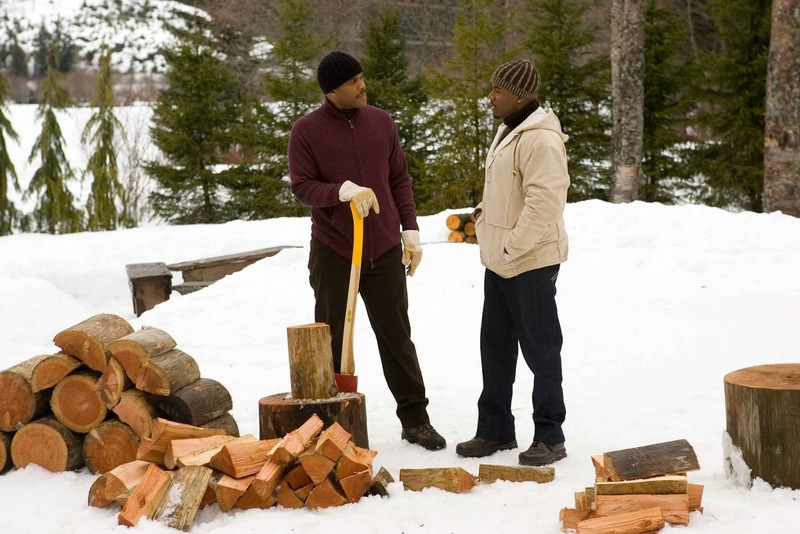 Tyler Perry lets us know that the most you get from someone is 80% of what you want. If you go looking for the other 20% that’s missing, you lose 80 and only get 20. I’m no mathematician, but that sounds like some inspiration that belongs on a poster. Here comes Jill Scott finally. Good to see that the local sheriff is accompanying her on the last leg of her journey. The vacation can only get better from here. No it doesn’t. Despite the sheriff being black, apparently the only other black people this store clerk has seen are from rap videos, so she walks right up to our heroes and lets them know that she “doesn’t keep money in the store.” Yes. The women wearing gauche furs are going to rob you. This is the dinner where all the secrets are revealed! Cheating! STDs! Paternity tests! Divorce! Can I interject here that for a group of couples that do a vacation every year specifically to work on their marriages, none of the lessons seem to have gotten through? I blame Janet Jackson’s skill as an...author? Marriage counselor? Professor? What does she do exactly? End of vacation. The marriage retreat was a big bust, because Marcus is fed up with Angela drunkly yelling at him and his ex all the time and Anglea is embarrassed at Marcus’ fashion choices. Why are we tucking a tie dye Affliction shirt into our jeans? Jill Scott stays in Colorado with the sheriff after her husband asks for a divorce. Sure. If I didn’t realize that my husband was cheating on me with a woman he brought on our vacation, I would be so embarrassed that I moved out of state. Ah, Janet can fix things! After her friends come to her asking what to do about their relationships, we realize why she is an author and speaker. Janet tells her friends to make a pro/con list about their relationships and decide based on that. What!?! C’mon Tyler, you’re not even trying. Months later (? ), everyone shows up to support Janet getting some kind of book award. Even Jill Scott, who forgot to tell everyone that she stayed in Colorado and got remarried to the sheriff. Maybe some of Jill’s “friends” should have checked in with her a little more. As always, like us on Facebook! Follow on Twitter. Get your copy of The Girls Guide to the Apocalypse available either on Amazon or Barnes and Nobel.